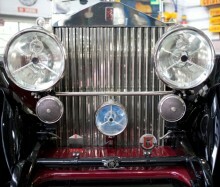 The Paradise Garage Heritage Restoration team lead by Paul Lukes brings together the skills, knowledge and passion of the very best of the best automotive craftsmen. Paul Lukes spearheads a team whose work is internationally recognised as best in class. Paul’s sympathetic and yet unyielding pursuit of achieving excellence in automotive restoration and refurbishment results in the culmination of award winning motoring machines. The Paradise Garage Heritage team is recognised for its attention to detail and expertise particularly with the British thoroughbred marques such as Rolls-Royce, Bentley, Jaguar, Daimler, Aston Martin etc. The Paradise Garage name is also associated with commercial vehicle restorations such as J-Van, Austin and Fargo. 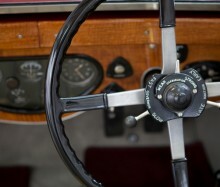 The process involves the Owner/Driver of the vehicle at every point. The journey taken during the refurbishment or restoration process is as memorable as reaching the final goal. For our owners, often the end result is the culmination of their years personal experience driving and owning motor vehicles. It is their vision of attainment which enthuses the Paradise Garage Heritage team to strive to make it all possible. Whether it is to recreate that special car you had when you were 21 or its now time to own the car you have been watching on the silver screen for years chat with Paul Lukes to discuss the sourcing of the car and the heritage process. 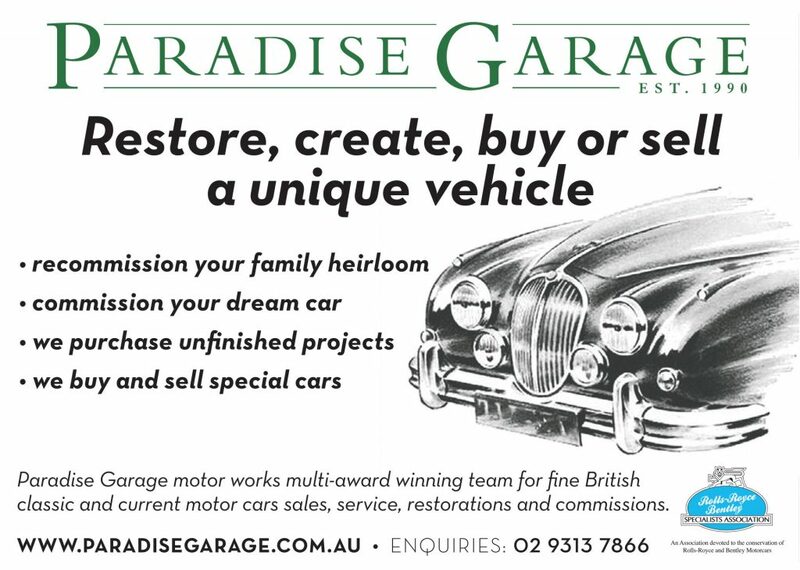 Combining your knowledge and aspirations with Paul’s depth of historical and technical knowledge & skill, his project management skills and the skills of the Paradise Garage Heritage team the resulting vehicle will be outstanding. You will have succeeded in commissioning a motor car to be built exactly as you have wanted. It will look and perform to your specifications. Paradise Garage can source your next project vehicle. 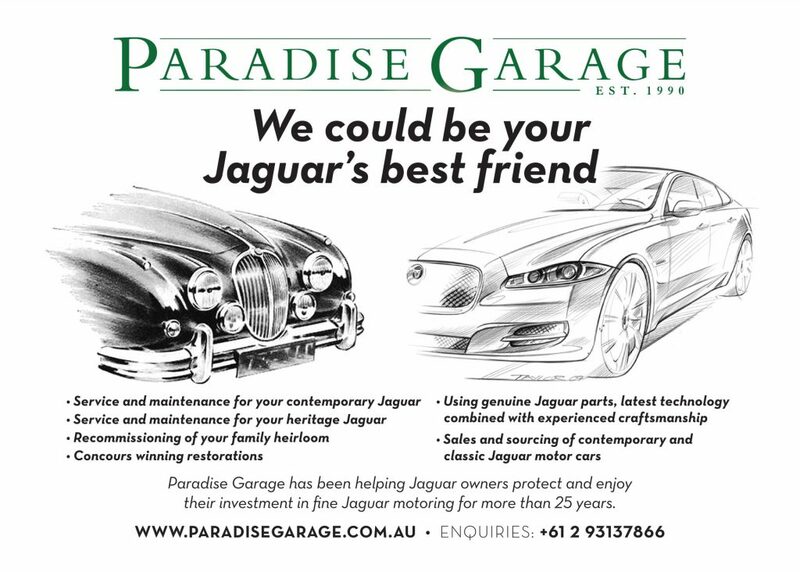 Paradise Garage can assist with the sourcing of your project donor motor vehicle either locally or from overseas. Paul Lukes can advise on the re-invigorating of the family heirloom waiting to be returned to its former glory. After the process has been completed, as the owner of a Paradise Garage Heritage refurbished motor vehicle, the satisfaction derived from infusing value back into something cherished, for all to see, experience and enjoy has a lasting impact.